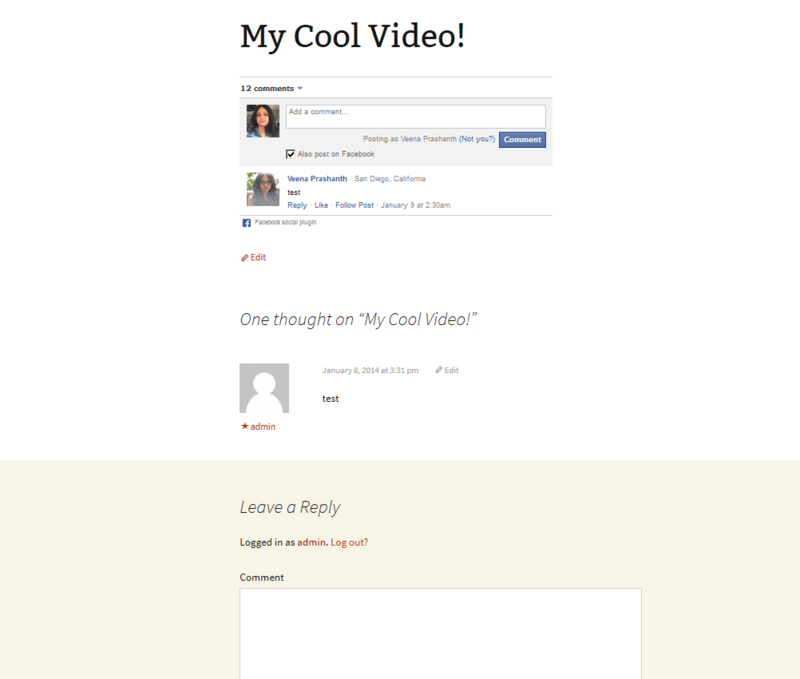 We’re thrilled to announce the launch of our newest Wicked Cool Plugin: Comments With Credits. 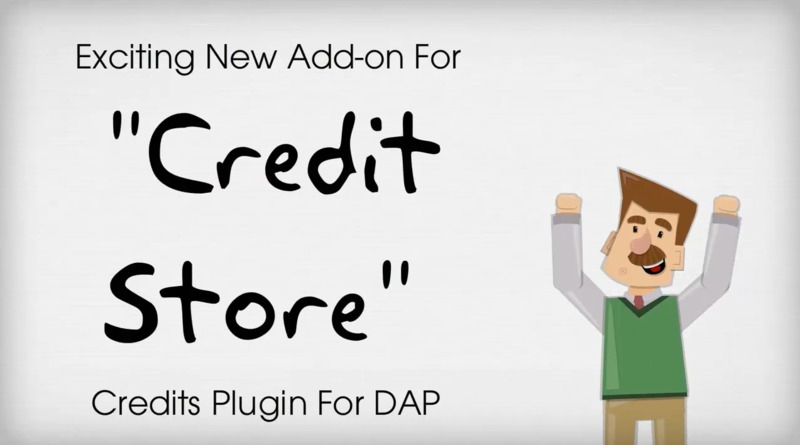 This is an exciting add-on to our ground-breaking plugin, the “Credit Store“. 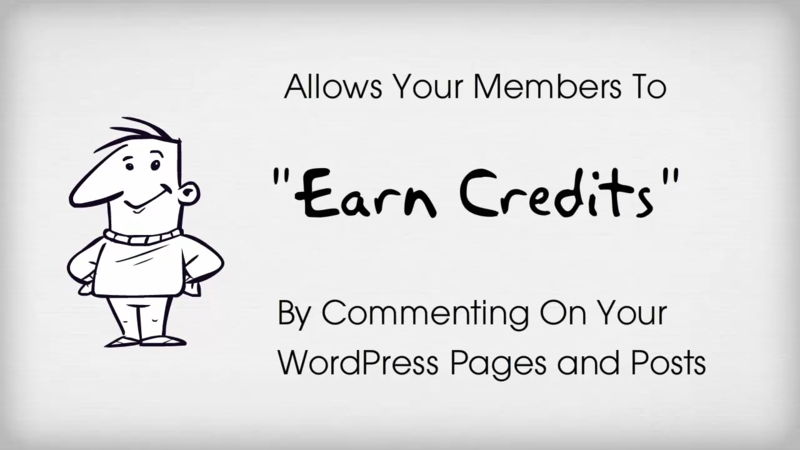 The Comments With Credits (CWC) plugin allows your members to earn Credits by commenting on your WordPress Pages and Posts, using FaceBook Comments, as well as the commenting system built into WordPress. This plugin encourages your members’ engagement with your content, and allows your members to earn credits that they can then redeem against your own products that you’ve made available in the Credit Store. Say you send out an email to your members about your latest blog post or your new article or video. A member arrives at your page, and after they’ve read your article or watched your video, right below the content, they are presented with two different ways to add a comment about your content. A) They can add a comment using the easy-to-use Facebook comments plugin. When they click on the “Add Comment” button, if they’re already logged in to Facebook, their comment is immediately posted to the page. And if they’re not logged in to Facebook, they will see the standard Facebook popup that invites them to log in to their Facebook account, following which the comment is then posted to the page. Enabling this Facebook commenting system is optional. B) Your members can also post a comment using the regular WordPress commenting system that is built right into WordPress, and fully integrates with any third-party WordPress commenting add-on that you may be using. Whichever option they choose, once their comment is posted to the page, they are automatically awarded credits in DAP, that will be added to their membership account for later use. As the DAP Admin, you can choose how many credits are awarded per valid comment. 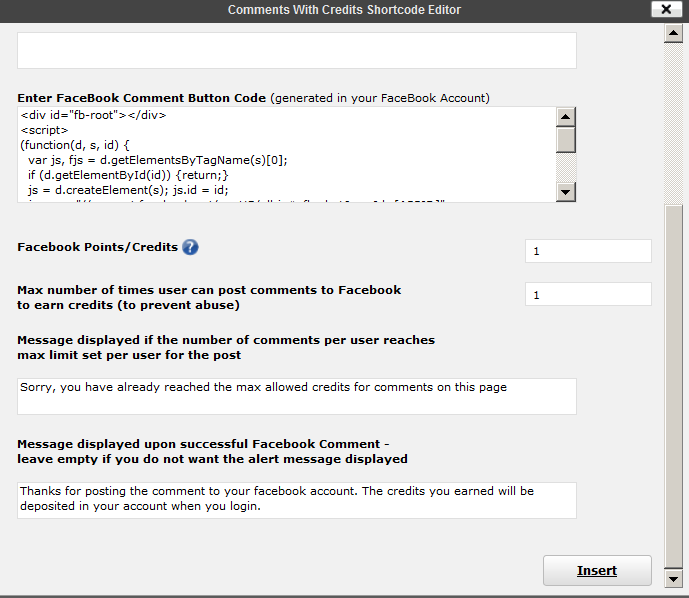 You can also configure whether it’s just one comment or whether every repeat comment earns them credits. This helps you prevent members from abusing the commenting system and racking up one-too-many credits. They can even be optionally shown a custom message from you if they try to game the system. You also have full control over which specific pages and posts allow earning of credits. And from within the DAP Admin Dashboard, you can also monitor the credits being earned by various users, and you can manually override the credits earned based on activity. Another exclusive feature of this plugin, is that even if a non-member adds a FaceBook comment on a page, without even being logged in, this plugin tracks their activity and the next time they log in to the member’s area, this plugin will automatically credit them for the comment. The Comments with Credits plugin incentivizes member activity, makes it fun to engage and interact with your content, and allows you to reward attention and participation in a meaningful way by giving them an opportunity to earn free access to your other exclusive content. This plugin is just one of the ways for your members to earn credits, and over time, we will be introducing more such gamification opportunities to help you increase member activity, participation, and ultimately, improve member retention. NOTE: If you purchased the Credit Store Unlimited-site license package when it was first launched, then you will be getting this as a free bonus. Just open a ticket if you don’t see it in the member’s area (that offer is no longer available, but you are eligible for it if you took us up on our launch offer). 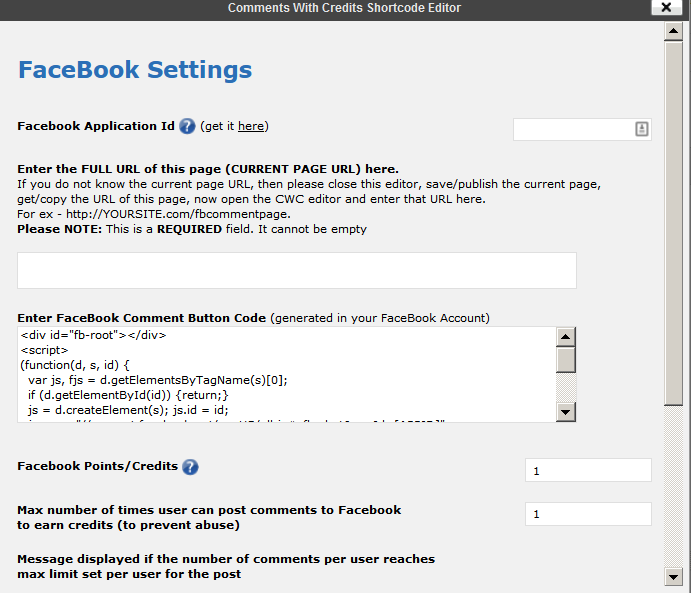 WARNING: Comments With Credits (CWC) is an add-on to our Credit Store (CS) plugin. CWC won’t work without CS. As always, feel free to leave your questions and comments below. PS: Did you check this out yet: Our new Plugin Club, Wicked Cool Club (WCC)? PPS: This is the Netflix of WordPress Plugins. All You Can Eat Download. Get every single plugin we have developed so far. PLUS every plugin we will be developing in the future. FOR FREE! Gamification is the Magic Word for memberships in 2014! Things like filling out a survey or little test, could also be an idea to gain credits or the next module, etc. You always have good ideas, thank you! Yes, credits for completing a survey or credits assignment upon passing a test etc is already on the Credit Store to-do list!. Dap just keeps getting bigger and better!! I’m constantly amazed with how Veena and Ravi keep expanding the capabilities of Dap. When I signed up I thought I was just getting a system that would create and manage membership access to my program. Thanks to their dedication I now have a system that handles and increases my sales, and now with the comments for credits plugin will increase user interaction. Not only that, they have backed up everything they do with great (and patient!) support. Thanks Ben 🙂 We really appreciate your support. I just love how Ravi and Veena keep adding value to their membership software… What’s even more impressive is how these new features enable us to bring more value and interaction to our members. The ability to add credits for taking action open so many possibilities for my business. Great to also build my list with new members. Keep up the awesome work and support.